20 foot Hurricane Deckboat with a 140hp 4 stroke suzuki outboard motor. It will hold up to 6 adult passengers. 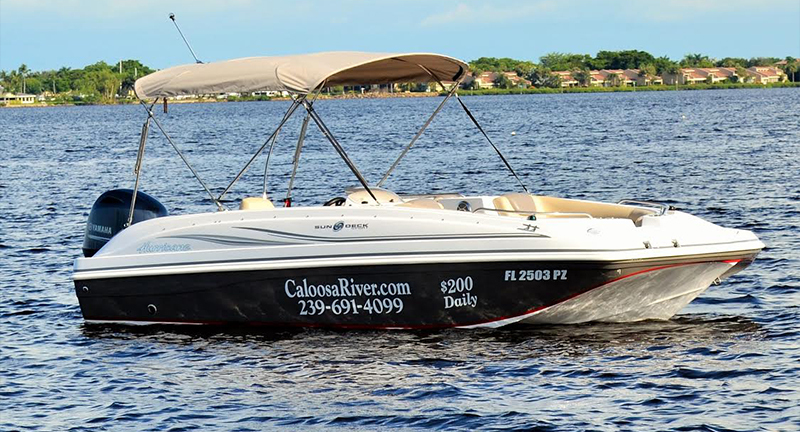 It comes equipped with all the safety gear required by law, GPS, Live Well and Bimini top for shade. 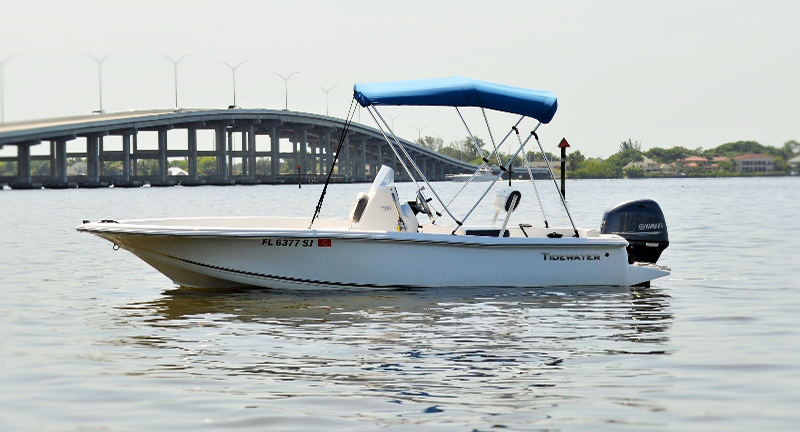 TIDEWATER 170 CC Seats up to 4 Passenger & Packed with Power from the Yamaha 70 HP Outboard Motor. 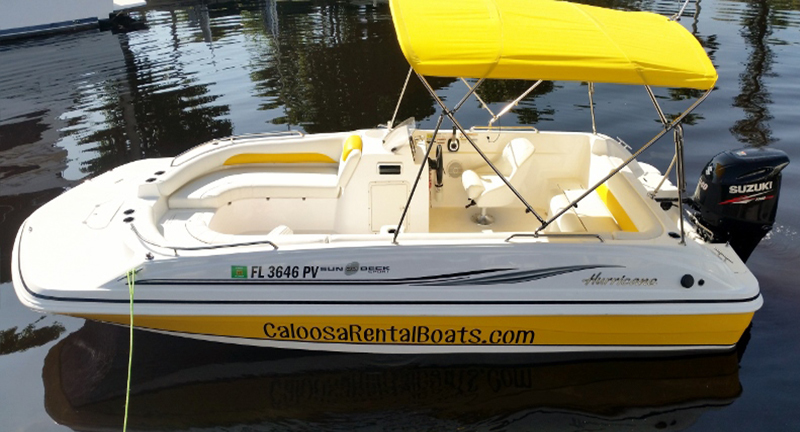 Comes with GPS Fish Finder, Live Well, Safety Equipment, Bimini Top, Anchor & Cooler. 18 foot Hurricane Deckboat with a 115hp 4 stroke Yamaha outboard motor. It will hold up to 6 adult passengers. It comes equipped with all the safety gear required by law, GPS, Live Well and Bimini top for shade.